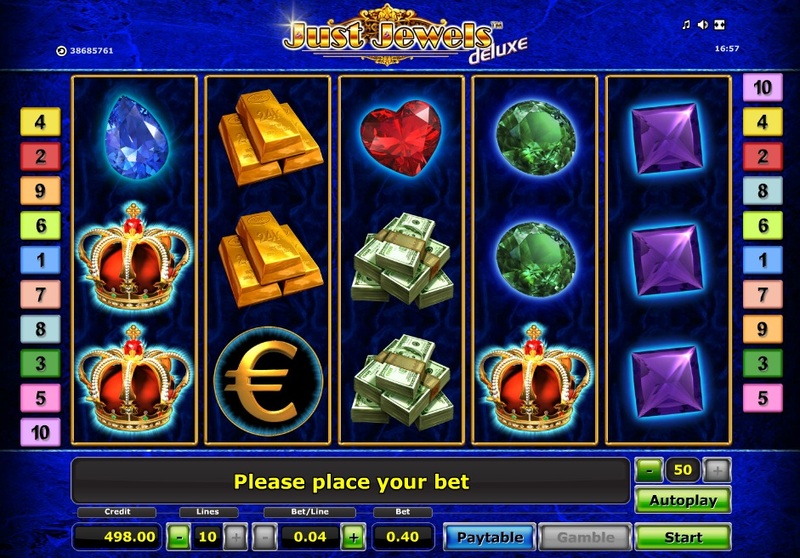 Just Jewels is one of those slots that is so simple that it can get a bit tiring quite quickly. There is no bonus round to speak of, so there is no break away from the main screen at any point. That being said, the makers of the game, Novomatic, have released an online version of the slightly more modern Just Jewels Deluxe. They wouldn’t have done this if players didn’t like it, so there must be a following for this game. The title of the slot is a little misleading. There aren't 'just' jewels in the game; as well as rubies, emeralds, sapphires and opals, we get gold bars, Crown Jewels, wads of notes, and gold bars. 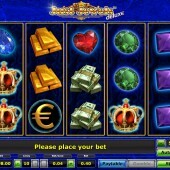 You are looking to make lines of precious gems and cash symbols from left to right, which pay very nicely if you get 5-of-a-kind. There is an exception to this with the scatter Euro symbol, which pays in any position when you get 3 or more in view at any one time. This is a low volatility slot game, so expect wins to be more frequent, but big wins to be quite rare. Personally I prefer some of the other Novomatic slots like the excellent Dolphins Pearl Deluxe, Lucky Ladys Charm, and Book of Ra Deluxe slot. For me these games have a bit more action and keep my interest for much longer. Make up your own mind and dive into a world of jewels.